Here’s the good news if you want to get into the dog slinging business. Buying a hot dog stand and all the supplies needed to operate is one of the lowest cost business opportunities that exist. Compare this business model to the financing requirements you’ll need to start a franchise restaurant or food truck and this is a tiny fraction of that cost. With that being said, I recognize it can be difficult to come up with the $6,000 – $10,000 of startup capital needed to start this type of business after you include the price of the cart, health permits, napkins, sausages, buns and other condiments. It adds up! If you aren’t sure how you’ll be able to afford your own cart and become a business owner don’t worry. We are going to walk you through the smartest ways to finance a cart. But first a bit of advice from our buddy Mark Cuban, owner of the Dallas Mavericks and ABC’s Shark Tank fame. Cuban has invested in a seemingly countless number of upstart business and recommends not taking on a loan if possible to start a business. In fact, Cuban has become well-known for saying that “Only Morons Start a Business with a Loan.” You can watch the video below for Cuban’s expanded thoughts on this topic. Don’t worry, if you ultimately decide to go to a traditional lender to start this business doing so doesn’t make you an idiot. In fact, the monthly payments on a hot dog cart will be far less than a car payment and the cart has the power to actually make you money if used. Still, getting a loan is one of the least desirable options. If possible you don’t want another monthly payment to make and once you own this business asset free and clear it will become an income generating vehicle for you moving forward. Part-Time Job – Since the cost of a cart is so low, you may be able to raise the money for it by working a part-time job. Some part-time jobs like bartending or waiting tables can bring you an extra $100 in cash for every shift you work. You won’t need to slog it out for your employer for too many months if you choose this route. The other option is to get a part-time gig working in some area of the restaurant or fast food industry. Even if you’re assembling hamburgers at McDonalds a couple days a week, you’re going to learn a thing or two about how to serve customers fast and run a clean efficient establishment. Not only will you make some extra money, but you’ll be learning how to operate your future business while you’re at it. Sell Non-Appreciating Assets – Do you have something like motorcycle sitting in your garage and collecting dust? If you do, you could sell it quickly and easily to raise cash. Unless you get good at racing motorcycles, there’s no many ways I know of that you can make money from this vehicle. Same goes for less valuable stuff around the house as well. Have a little rummage sale to get an extra $100 – $200 and clean some space at your home while you are at it. Crowdfunding – This is a effective option to raise money for a food cart online, especially if you have a realistic goal of raising between $2,000 – $4,000 for a business I believe anyone can do this. If you’re not familiar with crowdfunding, it is a way of raising money from folks online through websites like KickStarter.com or GoFundMe.com. Both websites are free to sign up for, but will take a small percentage of the contributions raised as payment for their service. 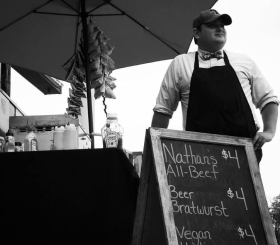 You can view examples of past successful hot dog cart campaigns here and here to use as a guide. If this form of fundraising appeals to you, sign up here to learn more about the topic of crowdfunding. Savings / 401K – While I don’t recommend burning through your retirement savings or withdrawing from a 401K as a first resort, this can be an option for some folks. If you plan to stay at your current employer for the foreseeable future, taking out a loan against your 401K is also an option. Taking a loan against your 401K allows you to get cash now and gradually pay back the amount through your regular payroll. This will allow you to avoid paying penalties for early withdrawal as well. Although not ideal, this can be an option to start a business. I would also recommend taking part of the revenue you generate from your hot dog business to pay back your 401K loan over time. 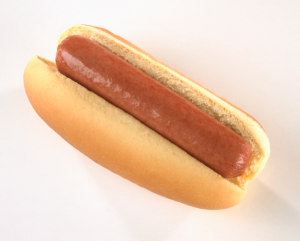 Dealer Financing – Similar to getting a car loan from the dealer, you can do the same with select hot dog carts. While I would prefer that you buy your hot dog cart outright and bypass the monthly payments there are compelling reasons to financing the cart through a dealer when you’re getting started. Note: You will need to ask the hot dog cart builder or distributor if the cart you’re looking for can be financed through them. Usually, lower priced / smaller carts under around $2,000 cannot be financed. The first reason to finance is the monthly payment is extremely low on these carts. If you get a low-priced, entry level cart you could be talking about a loan that costs around $2.00 per day to finance. You can get a lot of cart and pay less than $100 a month on a loan. The second benefit is that a lot of these financing payments don’t kick in for 60 – 90 days. This enables you to operate your business for a full 2 – 3 months before you make a regular payment. If you hit the ground running hard, you might be able to pay off your cart before the 3 month time period is over. 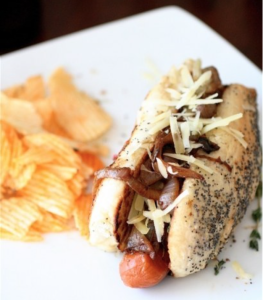 Want to Learn More About Starting a Hot Dog Business?